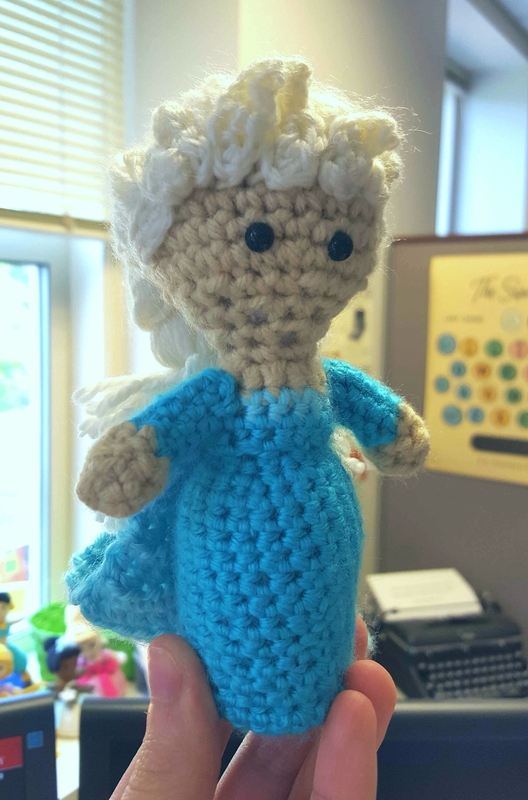 I am beyond excited about this pattern for Elsa; she is almost finished! I am particularly fond of her cape, which you can’t see very well in this picture. It’s rather long and flowy and just the right shape. Looking back, I think I made her hair too short, so I will be adjusting that in the pattern. I am hoping to have the pattern up on the blog by Sunday (Monday at the latest! ), along with the pattern for Olaf! So much fun Disney cuteness!